The 2012 Honda Civic ranks 27 out of 34 Affordable Small Cars. This ranking is based on our analysis of 16 published reviews and test drives of the Honda Civic, and our analysis of reliability and safety data. The automotive industry isn’t excited about the redesigned 2012 Honda Civic’s lackadaisical exterior and interior updates. The competition is priced lower and outshines the Civic in almost every way. 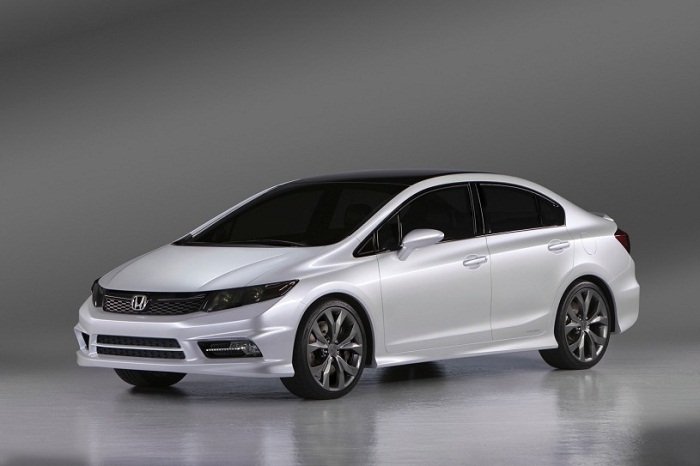 In December 2010, Honda released a sketch of the 2012 Honda Civic and nothing else. Now that Honda has released pricing information and available features and journalists have had a chance to drive the 2012 Civic, there’s a lot more information to share. The first thing most shoppers will notice is the Civic’s slightly refreshed exterior. “Honda opted for the safe route, which could prove unsafe if the Civic doesn't meet expectations,” writes Motor Trend. “Gen 9's exterior design, which is meant to be distinctive, clean, and energetic, per Honda, looks decidedly similar to that of Gen 8, retaining the so-called ‘mono-form body.’ Why? Honda wanted the new model to be instantly recognizable as a Civic.” Other critics agree that the Civic is undoubtedly a Civic, but say its exterior is bland.